Marriott International has signed a deal with Galaxy Entertainment Group to manage two luxury properties in Macau. 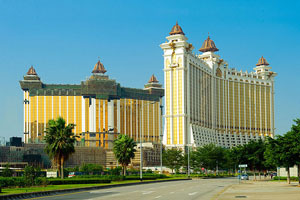 The Ritz-Carlton Macau and the JW Marriott Hotel Macau will be part of the Galaxy Macau resort and are expected to be Marriott International’s first properties in Macau, scheduled to open in 2015. Located on the top floors of the Galaxy Macau, the Ritz-Carlton will feature 250 one- and two-bedroom suites, while the JW Marriott will offer 1,000 rooms and private dining facilities. Both hotels will offer a range of meeting spaces, including individual ballrooms on the ground floor of each hotel that will have a capacity to accommodate approximately 2,000 guests.